While the best defense against data loss is redundant and real-time backup, we understand that sometimes data loss sneaks right up on you. Whether your vacation pictures didn't make it safely from your camera to your computer or a bumbling roommate deleted the paper you've been working all week on, having emergency data recovery tools handy is crucial to getting your data back before it's gone forever. Earlier this week we asked you to share your favorite data recovery tools with us. We tallied up your favorites and now we're back with the nominees for best free data recovery tool. 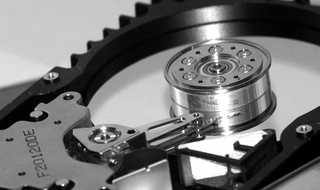 TestDisk is a powerful open-source tool for recovering your data. Not only can TestDisk perform basic file recovery like undeleting accidentally deleted files from FAT, NTFS, and ext2 file systems, but it comes with a host of additional functionality. With TestDisk you can recover your boot sector from a backup, rebuild your boot sector, fix FAT tables, fix your MFT, locate the ext2/ext3 backup SuperBlock, copy deleted files from partitions to recovery media, and find lost partitions in dozens of formats to help you locate your lost data. It's a command line tool, so there's no GUI, but the menus and the documentation in the wiki should get you started without much trouble. Recuva is a user-friendly Windows-based tool. When you run Recuva, you can resurrect missing files using either the file-recovery wizard or the application's manual mode. The file-recovery wizard is handy when you're sure your data is gone but you're not quite sure where it went or how to get it back. The wizard lets you narrow your search type to pictures, music, documents, video, or all files, and you can set the search location to everywhere on your computer, removable media only, in My Documents, the Recycle Bin, or a specified location. If you don't need the wizard you can jump right into manual mode and get to work searching where you know the file should be. Recuva uses a green/yellow/red light system to indicate how probable the recovery of your files will be, and when available, it can provide previews image files available for recovery. Recuva also includes a tool to securely wipe files you find, handy if you're attempting a file recovery just to ensure the files are actually dead and gone. PhotoRec is a companion program to TestDisk, also included in this Hive Five. Like TestDisk, this app is also devoid of a GUI, but likewise is quite powerful at file recovery. We're including PhotoRec independently of TestDisk because many users distinctly prefer PhotoRec as a safer alternative when deep disk recovery isn't necessary. This recovery tool won't mess with your partitions or help you rebuild your master boot record; it will, however, dive into your disks in a safe, read-only mode and ignore partitions and file systems in an effort to seek out your missing files. PhotoRec focuses on file types, is operating-system agnostic, and despite its name, isn't relegated to just photos. Overall, PhotoRec is a powerful tool for quickly and safely copying your deleted files to another disk. Restoration is a tiny, no-frills, portable recovery tool. You can use it in all versions of Windows and Windows file systems. It lacks some of the advanced functionality of other nominees but does have basic file-name search and the ability to sort by file parameters such as size and filename. Despite its tiny size, it performed just as well as the other nominees when tasked with restoring files from our test disks. Restoration weighs in at a mere 406k and would make a great addition to any Windows-based USB toolkit. Undelete Plus used to be commercial software but has gone on a lengthy "limited time offer" freeware run. This file recovery app works on all versions of Windows and incarnations of the FAT and NTFS file systems. Like Recuva, Undelete Plus assigns a recovery probability to files it finds based on how damaged the file is. You can sort files by type, set filters based on time and size to avoid sifting through every deleted file on your disk, and keep folder structures intact when you perform your recovery. Now that you've had a chance to look over the contenders for best free data recovery tool, it's time to cast your vote and see who wins the crown. If you have a file-recovery tip, technique, or tool you're dying to share. sound off in the comments and help your fellow readers get their data back.